Never underestimate the state of your roof! Though it may seem like few people ever stop to notice how the roof of your building looks, it can actually influence far more than you could think. A properly painted roof can not only help with improving the overall presence of a whole structure but also provide it with practical properties such as waterproofing. What else you can gain? Thanks to a new class of paints, your roof will be resistant to mildew, algae, fading, chalking and peeling. The added protection and durability also comes with the great benefit of being cost-effective and decrease energy use by keeping the warmth inside. But how do you paint safely something that’s so high? For R.A.I.L., painting your roof is no problem at all. 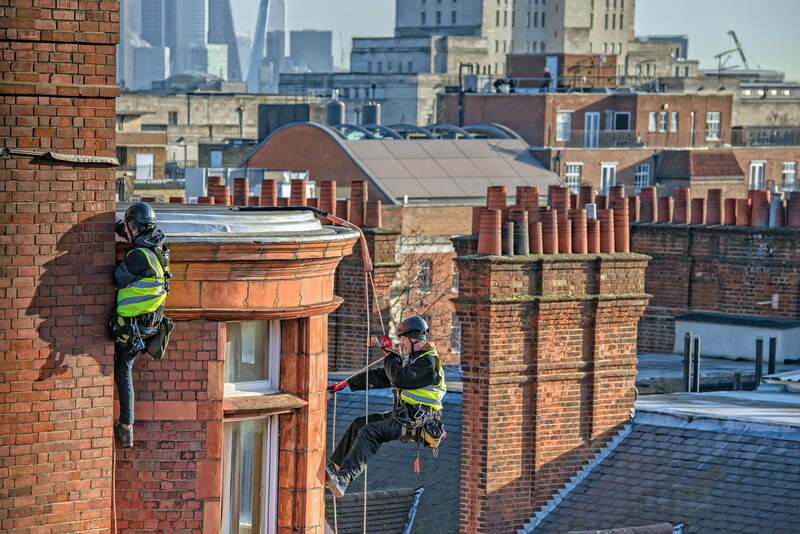 We employ the finest rope access technicians, who can offer you a roof painting service like no other company in London. With their great experience, they’re able to paint your roof by using only a set of ropes and a handful of tools. Our specialists can operate on high structures in a manner that not only keeps them completely unencumbered and their movements unimpeded, but also in a way that is completely safe for everybody. Give us a call and find out the best possible appointment time for you! What Types Of Painting Services Do We Provide? Graffiti can be art, but oftentime it’s simply a form of vandalism. If it’s a truly repelling sight, contact us to have it removed.